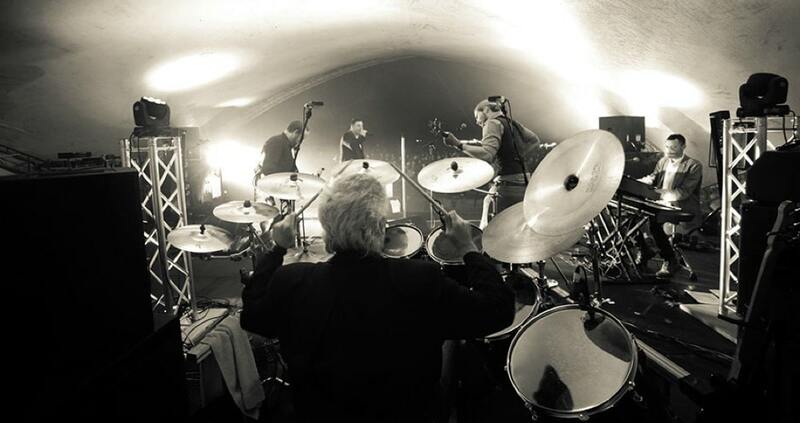 The Galaxies | Wedding Band | Corporate Function Band | Party Band | Berkshire | !daft! The Galaxies are a spectacular 4/5 piece band who know exactly how to put on a show. A very talented lineup come together with great chemistry to ensure that every audience experiences a memorable performance. 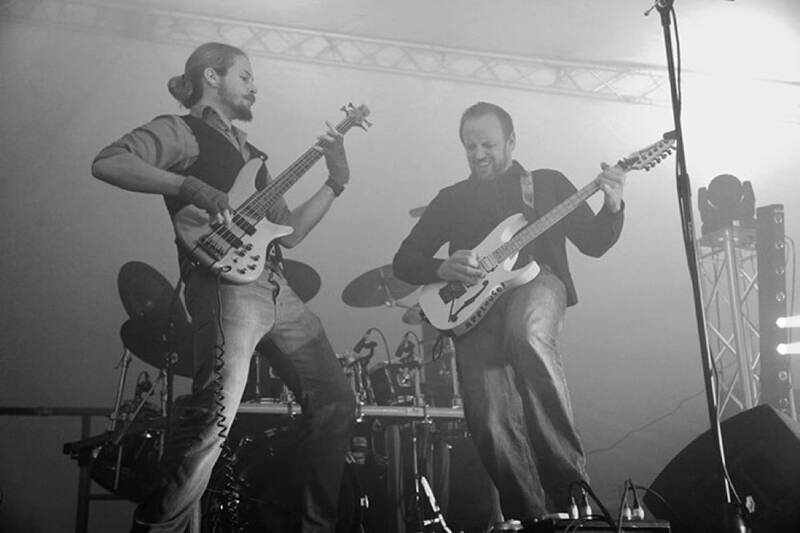 With over 400 gigs in the last 3 years, The Galaxies are one of the most sought-after function bands in the UK. 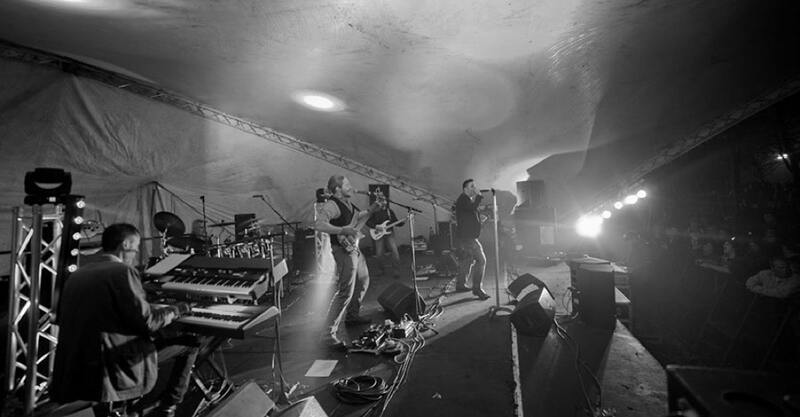 They are a 4/5 piece, male-fronted band, with optional keyboards, who peform a huge and diverse musical repertoire of classic floor-fillers, from the likes of Queen, Bon Jovi, Foo Fighters, The Killers and Lady Gaga. 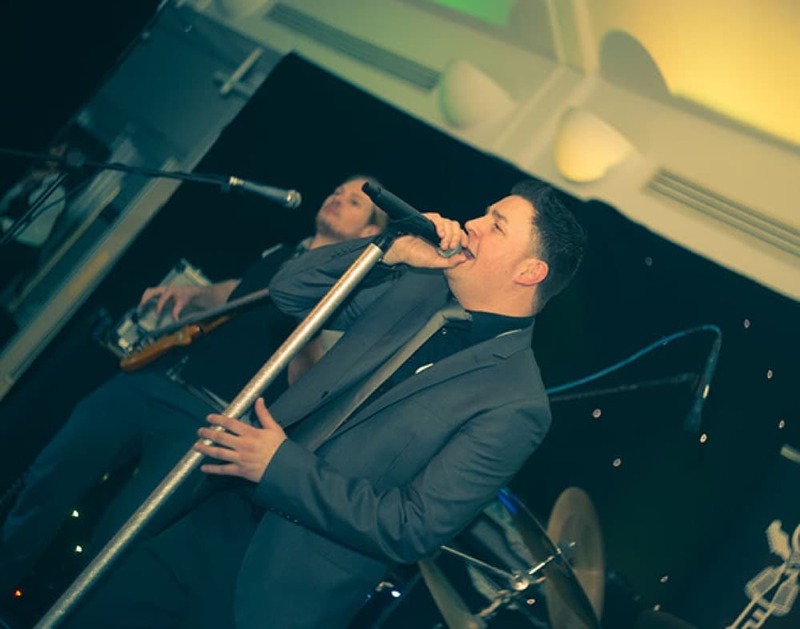 Their energetic performances have kept them busy all over the UK playing a mixture of weddings, private parties, corporate functions and military events. For the last 2 years The Galaxies have been chosen to perform the headline slot at the Aldershot fireworks display, which attracts an audience in excess of 10,000 people. They are equally comfortable in front of large and more intimate audiences. 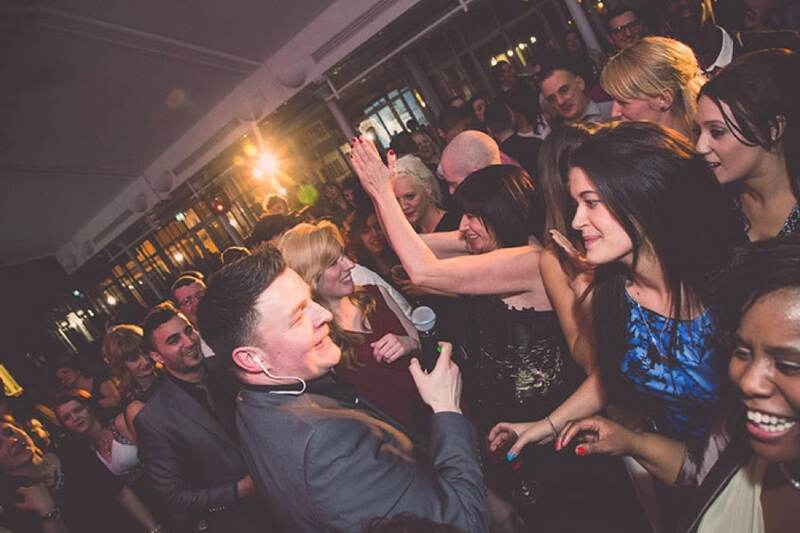 The Galaxies are seasoned experts at keeping any dance floor full with a repertoire containing older classics from Queen, Michael Jackson and Chuck Berry through to more recent hits from Lady Gaga, Aviici and Jesse J, guaranteeing their appeal to a wide range of audiences. Aside from the considerable talent of each individual member of the The Galaxies, their performances are centered around superb vocal harmonies provided by all members of the band. The use of high quality, professional sound and lighting ensure that The Galaxies put on a fantastic all-round show. Having supported X-Factor stars Joe McElderry, Ruth Lozenro, Lloyd Daniels and Kitty Brucknell in concert and regularly chosen to perform at armed forces events, The Galaxies have a proven track record of delivering high quality performances solidly and reliably. 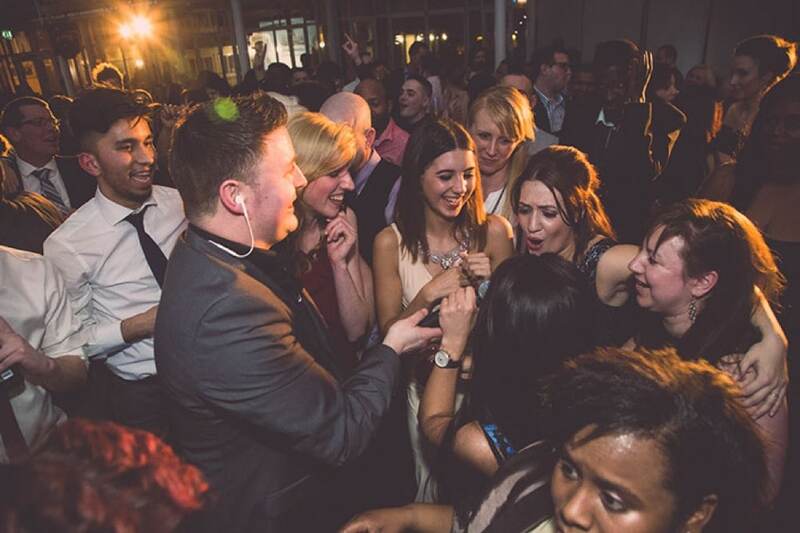 A highly professional group who will be certain to impress at a variety of events from small intimate settings to events with larger audiences, they have the experience to make any occassion a success. If you are looking for a slick, edgy and hugely talented rock and pop band, then look no further. Owning any event with vast amounts of style and energy, The Galaxies will get you rocking! Last December the Head Quarters Royal Signals Warrant Officers’ and Sergeants’ Mess held their annual Christmas ball which was attended by over 450 people including partners and VIPs. The Galaxies were recommended to me via a third party, and after watching a few videos, I decided to go ahead and book them. On arrival, they were extremely polite and got about setting up. Before their agreed sets, they allowed me to use their equipment to make speeches and announcements throughout which, with 450 people, I was extremely grateful for. Onto the music – The Mess is a hard place to please, but within a minute of their first song, the dance floor was filling up. One down side about most bands is every now and then they can clear the floor with a bad choice of song but I’m thankful to say that The Galaxies did not fall into this trap and kept the dancefloor full throughout the night. 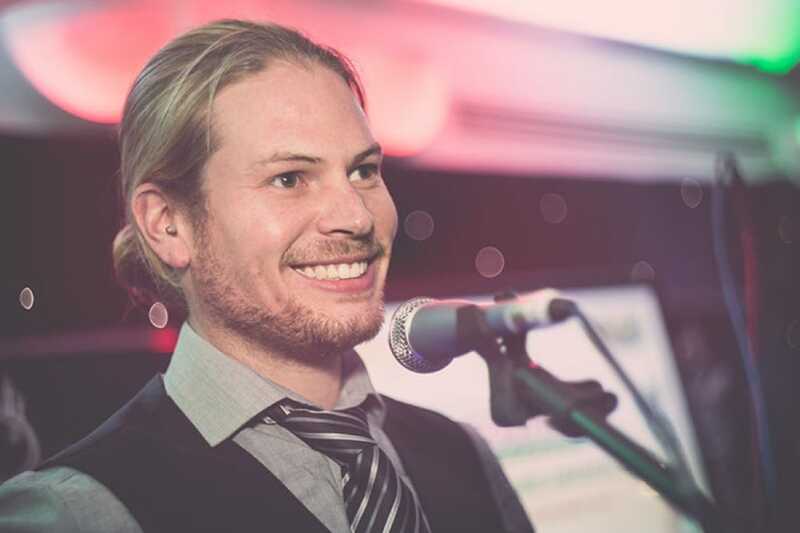 The Galaxies were an excellent choice for a function that is not your normal function, they were easy to deal with, friendly and an excellent band. Definitely a band I would use again. The Galaxies played at our Annual awards ceremony at Ascot Racecourse. The band were professional at every stage making my job of planning and organising the event easy. Their communication regarding their needs for the day and also to understand our needs was succinct and clear, thus ensuring a very pleased crowd. From their set up to the sound check and performance, The Galaxies delivered on every level, making our annual awards event one of the best yet, with over 400 very very pleased people, dancing the night away. I would recommend The Galaxies for any event, in fact I already have for my friends wedding! 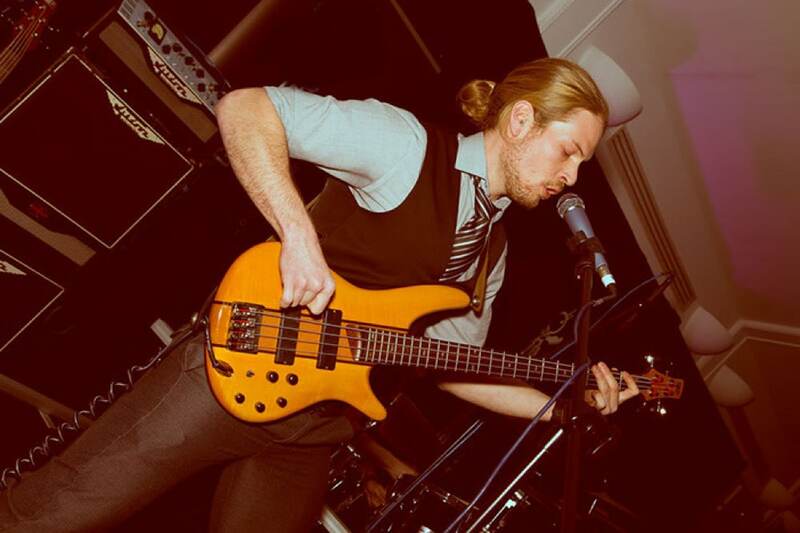 We were so pleased to have you play at our wedding and you did an absolutely fantastic job. We even enjoyed getting up with you for a bit of a sing song, I definitely think there is a permanent spot somewhere as backing singers. 🙂 You played all the songs we asked for and it was a really nice moment to have the last dance with my dad. A lot of our guests commented and thought that you were brilliant. It was so easy dealing with you from start to finish, and you were very quiet sneaking in during the speeches. Hope to see you somewhere nearby soon. AMAZING!!!! I don’t believe I need to say much more but I will. I first saw the band at my sister’s wedding and there was no question that I would use them for my own party. The guys are all so friendly and helpful, and I am so glad they were part of what turned out to be an extra special night for me as it also turned into an engagement party!! Needless to say I will be booking them for our wedding. The guys are extremely professional, always willing to go the extra mile, and play more songs if needed! They get involved in the on-stage banter and are so much fun to be around. Of course, as a band their performances are excellent, real crowd pleasers, everyone gets up to dance and sing along. I look forward to continuing to work with the boys. The Galaxies played at our wedding and were absolutely amazing! We wanted our evening to be a great big party as we love rocking out with our friends and they guys delivered. They played all our favourites without us asking and even our parents were up and dancing the night away. We especially loved the lead singer walking amongst the dancers for small amount of karaoke. Every one said they were a fantastic band and they really made our wedding night the best time of our lives! Their set up was great with their own light system really made for a great party mood. My husband and I truly recommend The Galaxies for any event; they really kept the music clean and not too heavy playing new and old songs, tailored for everyone. Thank you all so much for an amazing night. WOW……. This is the only way to describe the whole experience, which is afforded by this four piece hailing from surrey. 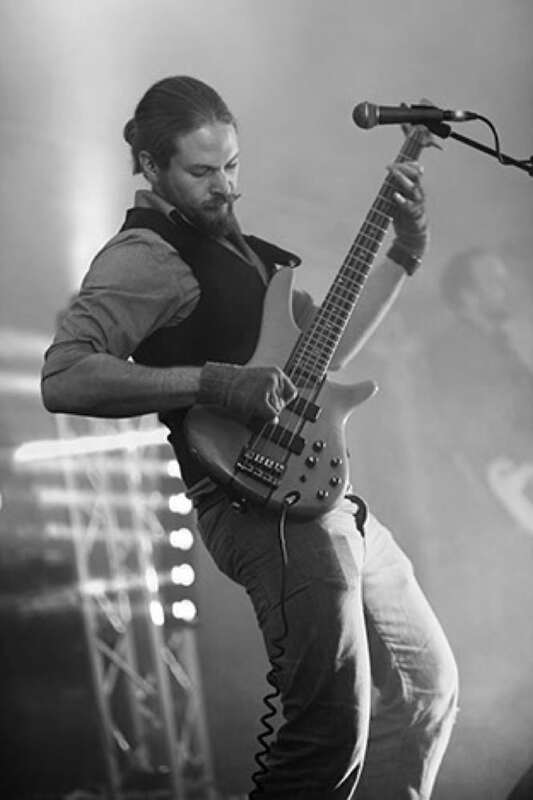 The band bring everything to any event, with their expertise, manner and sense of humour, The Galaxies make any party, function or music festival a great day or evening out. With their huge diverse musical range, through the ever changing world of rock and pop. These guys can really tailor their musical set lists to suit any taste. These guys do “ROCK”, without the musical arrogance of some good bands. Every step of the way from booking the band, to packing the kit at the end of the gig, these guys are true professionals. Personally as the Event Manager of The Odiham Live Music Club, I would like to take this opportunity to say thank you for turning our Live Music Events into a excellent night out. Good luck for the future guys, look forward to working with you again. We were lucky enough to book The Galaxies for our wedding reception in February 2012. They were very easy to deal with and were more than happy to learn our first dance song and also let us request certain favourite songs. On the night they had everyone up dancing for the entire night and were utterly fantastic. We had so many compliments from our guests on what a great band they were and even now, a month on from the wedding, our guests are still talking about them. They really helped make it the most wonderful day of our lives and we would like to thank the band again for their great talent in entertaining people. I just wanted to say how impressed I was by “The Galaxies”. The vocals, the drummer and Guitarist were amazing. Not to mention the professional lights used to light up the stage. You guys were all lovely and made his 30th Birthday one to remember. Everyone has commented about the brilliant interaction your band had with the audience, not to mention the versatility in the type of music played. We have 100% found a band for life and will always check your availability should we need a band in the future. Thanks again for everything. We just wanted to say a big thank you for playing at our wedding on 14th September. What can we say, you were absolutely fantastic and made our day that extra bit special. Our guests, young and old, danced the night away and we spotted quite a few joining yourselves as unofficial backing singers! Everyone thoroughly enjoyed themselves and we have had many of our guests asking where we found you. Thank you once again and we are trying to think of an excuse for another reason to book you, maybe our 1st wedding anniversary.